This booking photograph, obtained by Boston mob boss James "Whitey" Bulger is shown in this 2011 booking mug. Boston mobster James ‘‘Whitey’’ Bulger is out of the hospital and back in jail, where’s he’s awaiting trial for his alleged role in 19 slayings, The Boston Globe reported. The US Marshals Service confirmed Tuesday that Bulger, 83, a former paid FBI informant, was back in custody at the Plymouth County Correctional Facility. The Marshals Service released no other information to the Globe. Bulger was taken to Boston Medical Center early Sunday after complaining of chest pains; he was previously examined at a Boston hospital in December. He has a history of heart trouble. 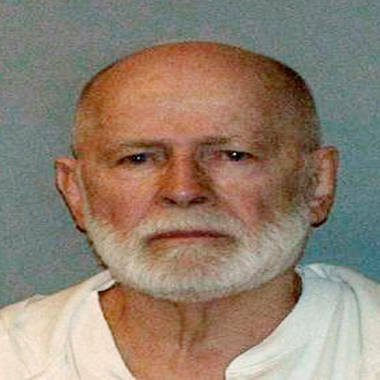 Bulger’s ongoing illness had led to reports speculating that his trial scheduled in March could be delayed. Defense attorneys have already asked for an eight-month delay as they review more than 300,000 case documents. Bulger in 2011 pleaded not guilty to a 32-count federal racketeering indictment accusing him of participating in 19 murders, extortion, money laundering and weapons charges in crimes committed while allegedly running a South Boston-based criminal enterprise that began in the 1970s and continued after he fled in 1995. 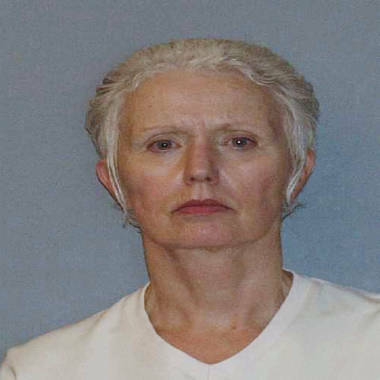 Catherine Greig, long time girlfriend of former mob boss and fugitive James "Whitey" Bulger, is seen in a 2011 booking mug. Bulger fled Boston in 1994 after being tipped off by a corrupt FBI handler, according to prosecutors. He was one of the FBI’s most wanted fugitives until he was captured in June 2011 in Santa Monica, Calif., with his longtime girlfriend, Catherine Greig. The couple had lived quietly in the oceanside city at least 1996, prosecutors said. Greig, 61, pleaded guilty last June to helping Bulger stay on the lam and was sentenced to eight years in prison and fined $150,000 by a federal judge who said that she had aided “someone accused of the most serious crimes imaginable” to evade capture by law enforcement. Bulger’s lawyers last month in court papers claimed late federal prosecutor Jeremiah O’Sullivan gave the gangster free reign to commit his alleged underworld reign of terror. Whitey Bulger was often seen around Santa Monica, Calif. and took frequent trips to Mexico while evading the FBI. But after 16 years on the run, he's adjusting to life behind bars. NBC's Miguel Almaguer reports.